Earlier this week Microsoft launched their highly anticipated white Xbox Box One S console which brings with it an increase in performance together with a variety of different 4K Ultra HD features for gamers to enjoy. 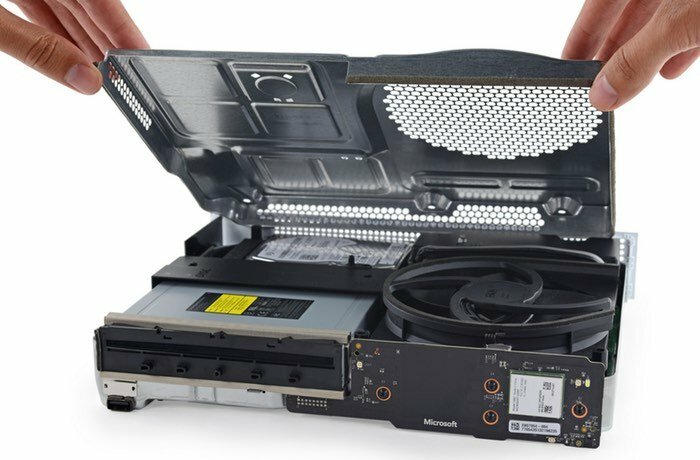 If you have been wondering exactly how Microsoft has made the latest Xbox One console 40 percent smaller than the original, check out the Xbox One S teardown video below which reveals more about the inner workings of the latest Xbox S console. – Only a few tools are required to take the whole console apart. – Once inside, a clean, no-nonsense modular design allows the drives, fan, heat sink, PSU, wireless board, and front daughterboard to be easily replaced. – Fewer interlocking body panels and a simpler clip arrangement make opening this generation of Xbox easier than its senior. – Replacing the hard drive will require both voiding your warranty and some difficult hackery to make it serviceable. For more information on the Xbox Box One S and images for every stage of the dismantling process jump over to the official iFixit website via the link below.